Every year Shepherdstown Street Fest names two non-profit charities, one regional and one local that benefit from our proceeds. Thanks to everyone who came out and supported Street Fest 2017 we were able to donate a total of $7,500 !!! 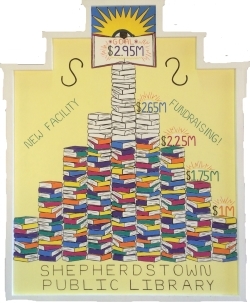 The Shepherdstown Public Library was established in the historically rich Old Market House by the Shepherdstown Women's Club in 1922. Our building, the most distinctive in Shepherdstown, is West Virginia's longest continuously occupied library building. Our primary mission is to promote literacy and provide a valuable service to the community. 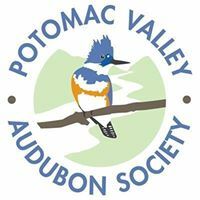 The Potomac Valley Audubon Society was organized in 1982. We are a chapter of the National Audubon Society and draw our members from Jefferson, Berkeley, and Morgan counties in West Virginia and Washington County, Maryland. PVAS offers a wide range of programs and activities aimed at promoting greater understanding and appreciation of the natural world for youth, adults, and families such as field trips to natural areas, summer camps, monthly lectures, school programs and more.